The Chairman, Reformed All Progressives Congress, Alhaji Buba Galadima, has warned members of the Coalition of United Political Parties that it would be tough to take power from President Muhammadu Buhari in 2019. He, therefore, called on them to brace themselves for tough times ahead, pointing out that taking over power from a retired army general would not be an easy task. 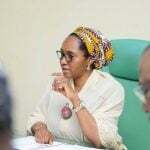 He spoke in Abuja on Thursday at the unveiling of a new secretariat for the group and the inauguration of some of its committees. At the same event, the National Chairman of the Social Democratic Party, who was also a former Secretary to the Government of the Federation, Chief Olu Falae, advised the CUPP members to be wary of those who would want to do everything possible to divide and scatter them. 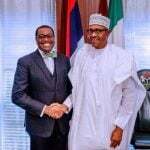 CUPP is the alliance of 39 political parties and associations which signed a Memorandum of Understanding to field a single presidential candidate in the 2019 election. Among the political parties that signed the agreement are Action Alliance, Alliance for Democracy, Africa Democratic Party, Peoples Democratic Party, SDP and Labour Party. 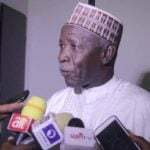 Galadima, a former ally of President Buhari, until he dumped the APC, told the CUPP members to be prepared for harassment, intimidation and name-calling as well as several other divisive tendencies. 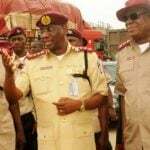 He said, “Trying to take over power from a retired military general is not a small task. 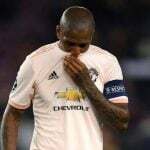 It is a Herculean task. But we will try. Over 200 million Nigerians out there are waiting for us. “The masses of this country have since shifted their support from the ruling APC. “They will attempt to intimidate, harass as well as bribe and divide us. They have called our people all sorts of names. They will still call several people more names. He called on those currently sitting on the fence to quickly join the campaign train of the CUPP. He urged the Independent National Electoral Commission to ensure that it conducts free, fair, credible and transparent elections next year, warning that Nigerians would not accept a repeat of what he said happened during the recently conducted Ekiti State governorship election. The PDP National Chairman, Prince Uche Secondus, at the event, decried the recent harassments of the Senate President, Senator Bukola Saraki; his deputy, Senator Ike Ekweremadu, and Senator Dino Melaye, among others. Secondus pointed out that it was time for the coalition to rescue Nigeria from the present poor governance being witnessed. 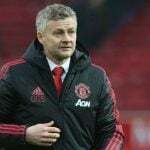 Ole Gunnar Solskjaer has warned his Manchester United stars that there must be a major reaction against title-chasing City tonight. The endorsement of Senate Leader, Ahmad Lawan, by the leadership of the APC to become the next senate president is a popular decision taken by all major stakeholders of the party, Sen. Barau Jibrin has said. 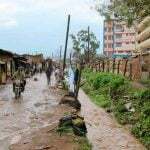 The rains hit the districts of Kamuli and Buyende during the night, with some people drowning in the flood waters and others hit by collapsing walls, the region’s police spokesperson Michael Kasadha said. 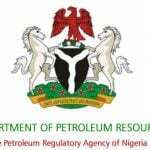 The Department of Petroleum Resources (DPR) has said that it will clamp down on illicit retailers of Liquefied Petroleum Gas (LPG) popularly known as cooking gas in Rivers. 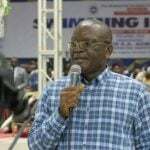 The Governor of Benue State, Samuel Ortom, has shared his experience on how the General Overseer of the Redeemed Christian Church of God, Pastor Enoch Adeboye, ensured he emerged victorious at the 2015 governorship election in his state. 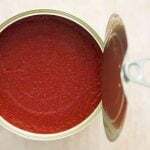 All Farmers Association of Nigeria (AFAN) in Niger State, on Saturday, urged the Federal Government to put the right structures in place before banning importation of tomato paste into the country.